From teaching FBI agents how to detect and recover human remains, to separating and identifying commingled body parts in her Montreal lab, as one of only seventy-seven forensic anthropologists ever certified by the American Board of Forensic Anthropology, Dr Kathy Reichs has brought her own dramatic work experience to her mesmerising forensic thrillers. 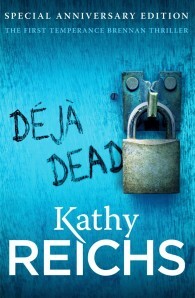 Kathy Reichs's first novel Déjà Dead catapulted her to fame when it became a New York Times bestseller, a Sunday Times bestseller and won the 1997 Ellis Award for Best First Novel. All of her novels have been international bestsellers. She is also a producer of the chilling hit TV series Bones. She has written sixteen bestsellers featuring Dr Temperance Brennan. She has also written three bestsellers featuring Tory Brennan: Virals, Seizure and Code.